Slippery Boxing Day walk at my father’s place, Sätrabrunn. 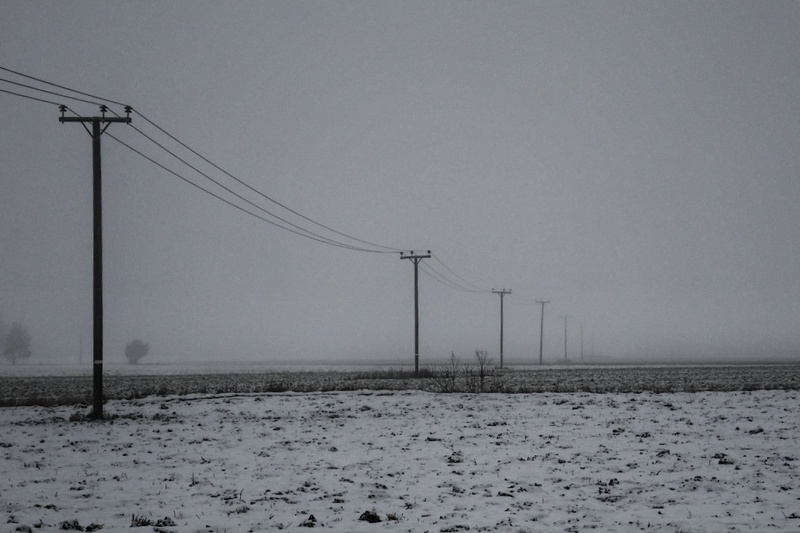 Great image with beautiful grays, a tapestry layering which is pulled together with the power lines. Thank you! I liked the scenery when the lines disappeared in the thick mist. It’s so cold not even the colours work properly …thanks for capturing this moment ..